Fostering choir music is one of the main aims of choral festival and choir competition organizers worldwide. At this moment, a new association is being formed under Belgian law: the Choral Festival Network (CFN) is aimed to forge links between these festivals and to improve mutual advertising and exchange. The primary EXTERNAL aim of CFN is to provide fair conditions for participants of competitions and festivals worldwide by establishing guidelines of transparency and fairness. CFN wants to be a seal of approval for organizations whose main aim is the promotion of choral music. The network is open to all festivals and competitions that accept these quality recommendations and who want to establish and to cultivate contacts worldwide. After the positive response with which these ideas were welcomed at an intensive meeting at the World Symposium on Choral Music in Kyoto this summer, the association was founded in September 2005 in Maasmechelen/Belgium following a second, more in-depth discussion with organizers of major choral festivals worldwide. During the next months a website with information databases and discussion panels will be built up. It will provide information not only for network members but also for choirs and individual singers who are interested in international festivals and competitions. 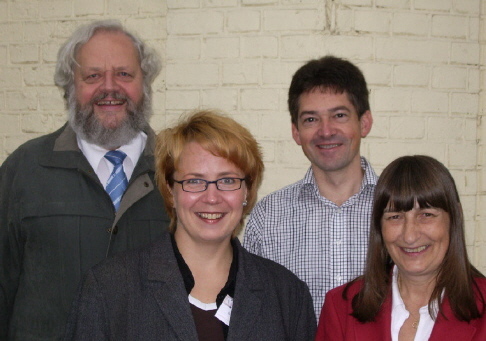 The acting board consists of Dolf Rabus (Marktoberdorf/Germany) as president, Jeroen Schrijner (Utrecht/The Netherlands) as Vice President, Simonne Claeys (Tervuren, Belgium) and Brigitte Riskowski (Marktoberdorf, Germany). A committee of selected experts of the international choral scene will advise on the admission of members.